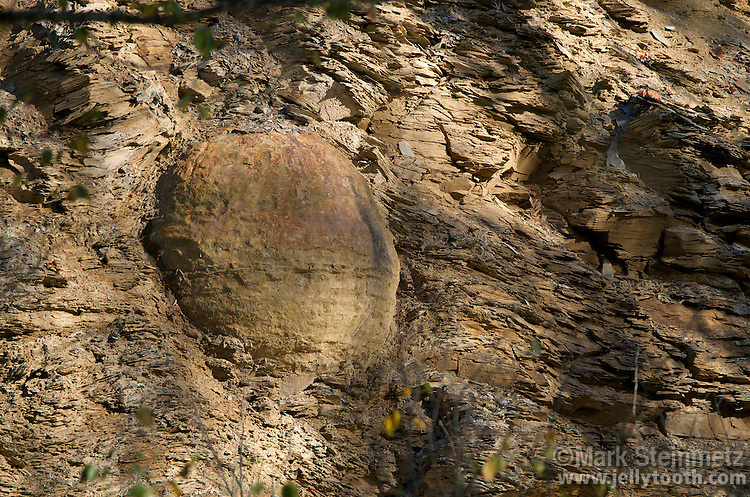 Through erosion, large concretions have become exposed in the bluffs of Devonian-age Ohio Shale along the Olentangy River, near the Delaware and Franklin County border. Looking somewhat like cannonballs shot into a cliff, deformation of the shale bedding can clearly be seen. The nuclei of these concretions are often found to be mineralized fossils. Highbanks Metro Park, Ohio, USA.